The TJ Martell Foundation is proud to announce that it will celebrate its 13th Annual Family Day on Sunday, April 22nd, 2012 at Roseland Ballroom in New York City. This year’s Family Day will honor multiple Grammy-award winners Train, for their tremendous support of numerous charitable causes. 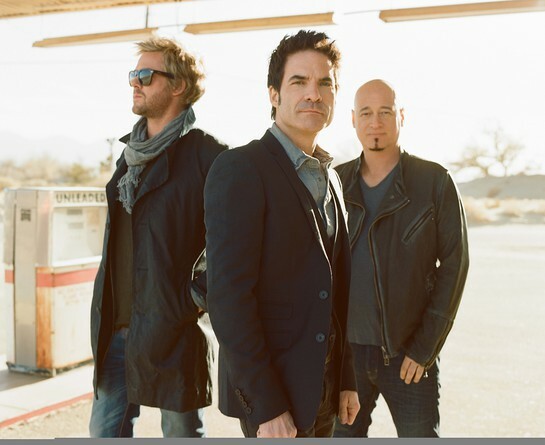 Train (Patrick Monahan, Jimmy Stafford, Scott Underwood) will perform an intimate acoustic set at Family Day to celebrate the release of their new record, CALIFORNIA 37, due out on April 17th, which follows the band’s multi-platinum 2009 release SAVE ME, SAN FRANCISCO. Family Day will also feature a special DJ set by Cobra Starship and a live performance by Universal recording artist Ariana Grande, who plays “Cat Valentine” on Nickelodeon’s hit series “Victorious.” In addition to Train, Family Day will honor Bob McLynn and Jonathan Daniel, founding partners of Crush Management who represent Train and Cobra Starship. Bob and Jonathan also handle platinum-selling acts Fall Out Boy and Gym Class Heroes, among others. Family Day provides a spectacular day full of fun games, carnival activities and live performances to raise money for leukemia, cancer and AIDS research. Family Day has steadily grown into one of the Martell Foundation’s most successful events and has raised almost $4 million since its inception. Last year’s sold out event honored Nickelodeon superstars Big Time Rush raising over a quarter of a million dollars for Martell funded research at eleven research hospitals across the country. To purchase tickets, VIP packages and sponsorships to the event, please visit www.TJMartellFoundation.org or call the Foundation at (646) 841-1394.